An acute shortage of rental properties continues to characterise the London buy-to-let market at the moment, with many of our branches now running low or even running out, of certain types of property, particularly one bedroom apartments. We have even been seeing some applicants agree to rent a property without seeing it – such is the competition amongst prospective tenants. Many apartments are letting within a couple of days of coming to the market and some of our branches still have waiting lists for certain developments. Without a doubt, there are plenty of applicants looking for a rental home in London. The student market goes from strength to strength and most have good budgets. Meanwhile young professionals tend to be more cost-conscious but both types of tenant are looking for a luxury lifestyle, so an apartment with a gym, concierge and perhaps even a cinema room, are considered to be very much part of the package. But don’t forget that, however strong the market, if you bought off-plan a few years ago and are due to complete on your property shortly, you may need to reassess your expected rental income and yield. The rental market fluctuates almost daily and while properties are letting quickly, there is a new sense of realism amongst landlords and tenants. Accurate pricing and flexibility are essential to ensure a property lets fast. Almost all applicants expect to negotiate on rentat the moment for fear of increases. This is simply the world we live in now with renters far more informed about economic trends and wider housing issues. And, of course, this exceptionally buoyant market won’t continue indefinitely. November, December and January usually see a seasonal slowdown – this is perfectly normal and something we experience every year. If your property is coming onto the market during the winter months, you will need to talk to your letting agent who can advise you on current market conditions and hopefully offer you sound advice on how to attract tenants and get a quicker rental, even if demand has slowed down. Our central London letting branches – Knightsbridge, Kensington and Hyde Park, have had a really good quarter, with strong demand and good stocks of properties. The market is more competitive than for some time, with well presented, accurately priced properties letting fastest. Applicants remain cost-conscious and young professionals prefer smaller properties priced at £500-£550 per week. 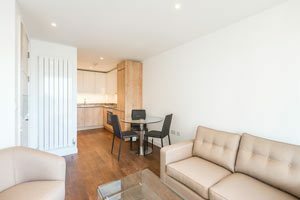 The regeneration of the area around Victoria station is having a positive impact on rental demand in this part of central London, with new developments such as Kings Gate, Nova, The Hansom Building and 55 Victoria Street attractingincreasing numbers of enquiries, particularlyyoung professionals and international students.Studios and one bed apartments here are literally flying out. Many applicants specify a particular development by name, in fact, we have waiting lists of referenced tenants, particularly younger professionals, waiting to move in to some buildings, attracted to the area’s new sense of vitality with its contemporarycafes, bars and restaurants. Its convenient location and excellent transport links are also a real draw. There is also good demand for high end properties aimed at senior professionals with really good budgets. We have been dealing with enquiries for ultra-luxurious apartments in a beautiful period house in Kensington recently, priced at upwards of £1,000 per week, and the interest has been excellent – we expect to finalise tenancy agreements on these properties very soon. At Nine Elms, the incredibly busy summer months have continued into the autumn, with stocks now very low – we have no one bed apartments at all at the moment. Therefore, with demand still very high, apartments that do come to the market are letting immediately. Rents are also edging up a little due to the lack of supply. We are expecting new phases to launch soon at Embassy Gardens where one bed apartments should achieve £550 per week and two beds £700 per week. Completion is also imminent at The Residence where rents are a little lower – £450 per week for a one bedroom apartment and £650 per week for a two bed. Our five City and East London’s Letting branches have had such an exceptionally busy quarter that at times we have been completely out of stock of rental properties, so high is the demand. Even with landlords responding to call outs for more stock, we have waiting lists for tenants who want to move intospecific buildings, particularly studios, one and two bed apartments, as soon as they become available so there are no voids for landlords. Most applicants have good budgets and apartments are achieving market rates.In fact, our latest figures (to the end of October) show that rental demand in 2018 has surpassed 2017, a clear sign that wider political uncertainty is not affecting the market which shows no signs of slowing down. such is the high level of interest. 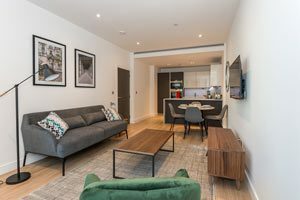 One bed apartments are achieving £350 – £375 per week and two beds £450 – £475 per week.Our Canary Wharf branch now has more apartments at London City Island and Royal Wharf, both of which offer excellent value for money for tenants. 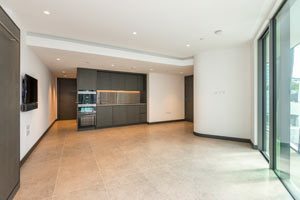 Stocks here too are quite low so properties are letting immediately, often to tenants who are looking to push further east out of Canary Wharf where they can find better value. Royal Arsenal Riverside is another rental hotspot and our Greenwich branch is also seeing strong rental demand, with applicants undeterred by the delay to the launch of Crossrail (the Elizabeth Line) until next year. Clearly, professionals and international students are continuing to move to London in large numbers. We have also been receiving good volumes of new instructions from landlords in developments which have launched over the last few months, so we have had good stocks (until recently) to meet demand. If you have recently completed on a new apartment, then please contactone of our London branches as we have tenants, already fully referenced, ready to move. Our North London’s letting Beaufort Park branch in Colindale has been experiencing exceptional rental demand, with September the office’s busiest month since opening in 2009. One and two bedroom apartments to rent are letting immediately and there have been shortages of stock. We have been handling a lot of enquiries from relocation agents searching for overseas professionals moving to London with tech companies such as Facebook as well as accountancy and finance firms and university lecturers. Being situated on-site here has its value and word-of-mouth recommendation is a major factor in generating this continuing strong demand. For many, the easy commute to the City isa key attraction but the development’s proximity to good road links such as the M1 also makes it popular with professionals from the Midlands and North of England.New buildings Argent House and Capri House are seeing particularly high demand, with apartments letting the same day as coming to the market. Luckily, new apartments are completing soon to help us meet this demand. In Hampstead and Highgate, we have had a good autumn so far and the last few weeks have seen strong demand, with properties across the board letting well. The market has been particularly busy with individuals looking for large two bed properties, while those with larger families prefer three or four bed properties. As ever, refurbished and immaculately presented properties that are accurately priced are always the ones that let most quickly. And while rents have softened over the last couple of years, they have now stabilised, which is good news for landlords. Renewals continue to be high in these traditional locations and our clients are so far happy to extend with very modest increases (if at all) rather than risk losing a good tenant. 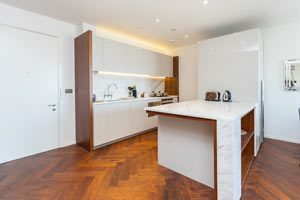 The rental market in West London’s Hammersmith has been even busier than usual for the time of year and our Fulham Reach branch has run out of apartment stock at the development. 80% of current tenants are renewing their tenancies and we now have waiting lists for apartments here. Those apartments that do become available let immediately. Nearby, Sovereign Court is another exceptional success story, with most new apartments in the two latest phases, Montpellier House and Beaulieu House, now let, usually after a single viewing. Two bed properties are achieving £600 – £650 per week and one beds around £485 per week. 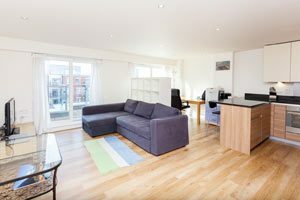 A shortage of stock also characterises the rental market at Dickens Yard in Ealing where we have very short supplies, with all properties letting as soon as they become available. Around 90% of existing tenants are renewing their tenancies. New apartments will be launching soon at Quartz House, the development’s latest phase and we have waiting lists of tenants already lined up. Two bed apartments will achieve £575 – £690 per week and three beds £925 – £1250 per week. Our Kew Bridge branch is also running very low on stock and seeing most tenants renewing too, while our Imperial Wharf and Chelsea Creekbranch is also very busy, with properties letting quickly and stocks diminishing. All these branches are keen to talk to landlords who own a rental property in these or other local developments.